Discovering Love Online, the website, was designed to support and provide a resource and community for readers of Discovering Love Online: Love May Be Closer Than You Think, as well as others seeking to find the love of their lives through online dating. 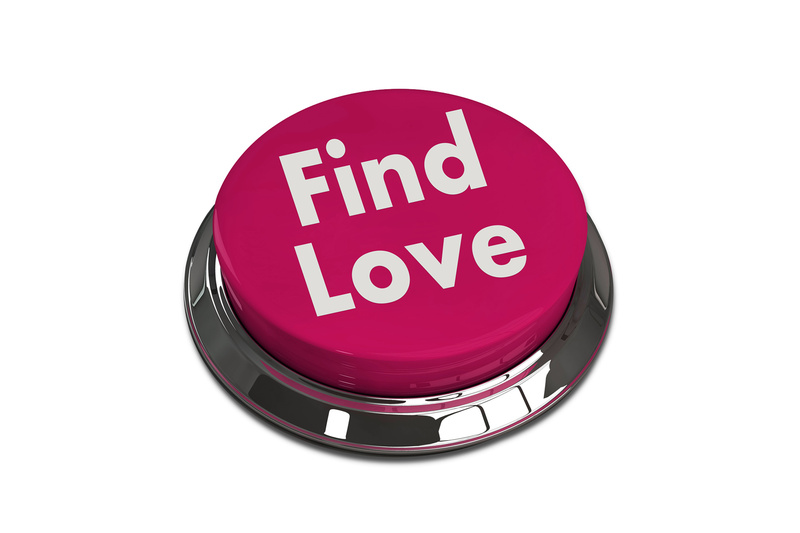 Into whatever group you fall, welcome to Discovering Love Online! One of my goals in creating Discovering Love Online was to simply relate my story. A more important goal was to provide you with a means of getting started on a successful search for lasting love. It not all that difficult once you have the right knowledge and tools, but still not as easy as using a Staples® Easy Button (or, as in our case, a “Find Love” alternative). Discovering Love Online originally began life as a project for an entrepreneurial course on product development. When asked to draft an idea for my forthcoming creation, several options came to mind. But, it was my wife’s proposal to write a book about online dating that proved a no-brainer, and with good reason. Prior to my first marriage, I had invested over ten years as a young adult seeking lasting companionship through conventional dating venues. I also gained more than two decades of hands-on experience in the trenches of Christian ministry serving other singles, many engaged in their own search. Most recently (several years after being widowed), I concluded a successful adventure-in-dating online that culminated in marriage to my sweetie, Deb. All of the above combined to provide a significant vantage point on the topic. That’s the abbreviated version of how this journey began. Life is about extremes and points between. And, speaking of journeys, everyone embarks on their own online dating odyssey with a different skill set, knowledge base and range of experiences and expectations. Most of you are Internet savvy. It’s difficult to be otherwise these days. Some may have already dabbled in online dating, while for others it’s a new and even daunting prospect. A few of you may even struggle to navigate the online world and use a computer or other digital device. Either way, it’s alright. Life is about extremes and points between. Whether tech savvy or not, online dating requires a significant investment of time on the Internet. No surprise, right? It’s not only your venue for seeking the love of your life, but a repository for many resources to aid in your search. Part of my job is to point you to the best of what’s available within and beyond the contents of my book. In that regard, while Discovering Love Online will soon be available as an ebook (and shortly after in print), it’s not always prudent to embed hyperlinks to Internet content directly within a digital product. The same holds true for including website addresses in a printed edition of a book (the chief reason I’m not, save for a few exceptions). With an ever-changing digital landscape, sites close, resources get deleted and URLs change. 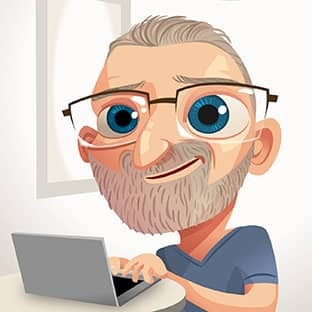 So, to update and maintain a collection of working links, the products and services I recommend in the book will appear here in a repository of Online Dating Resources. This allows me to redirect you to migrated content, delete links that no longer work and add valuable new materials when they appear. Of course, you’ll find a blog here, too. This is, in fact, the first article published on it. I intend to provide regular news, articles, reviews, guides and advice to assist you in your search for a life partner. Just check back regularly to access newly added content. Better yet, subscribe to Love Notes, a digital newsletter designed to keep you current on the latest resources added to this site. If you're an indie author or independent publisher and have an interest in knowing what hardware and software were used to create the book and website, please read the Colophon. It's all detailed for you there. As you navigate this website, you’ll come across links to outbound locations and various resources related to online dating. As a matter of full disclosure, I may receive a portion of sales revenue or a commission if you follow one of the included links and make a purchase. Please be advised that such potential remuneration has no influence on editorial content. While it’s my goal to assist you in discovering love online as I did, Discovering Love Online is a business venture and revenue it derives allows me to continue to provide value-added content to each of my readers. With that said, I appreciate your support! I’m thankful to everyone who assisted in creating Discovering Love Online. To my wife and family, kudos for your patience and encouragement during the long process of writing and editing that tome and for the months involved in developing this website. I also appreciate the significant investments made by Deb Miller (the missis), Kathy Schoedler and Karen Shaver in providing editorial feedback that improved the contents of this work. Further, I’m indebted to Brent Bauer, Bauer Leadership Consulting Group, for his editorial comments and eloquently crafted forward and to André Jolicoeur, Doodlemachine, with regard to his delightful cover art and logo design (tell him Chuck Miller sent you for preferred treatment). And, to eHarmony for starting me on this adventure. Thanks, one and all! I’m also grateful for a short commute to my office just off the kitchen, my morning cup of coffee, crispy bacon and scrambled eggs (that I seldom enjoy since it’s easier to pour cereal). Cool Apple tech, freshly brewed iced tea, yummy Dove Milk Chocolate Promises, comfy slippers and indoor plumbing also garner my appreciation. Moreover, I’m thankful this book and website only required twice the time to create as I thought…and not longer. Last, but only for emphasis, I’m thankful to God for gifting me with the skills and determination to bring this online dating guide and website to life as a resource for singles who long for true love and companionship. Thanks to each of you, as well, hopeful readers. Welcome to Discovering Love Online! WONDERFUL! Chuck, we are so happy for you and your writing this book. Mike and I are so happy that you and Deb had the courage to look for love online. You know what it did for us! By the way, Mike says his $100 paid off!!! Love to you. GREAT artwork on the character pics. ! love them! Hi, Mike & Jill! Thanks to you both for your kind thoughts in reference to the book. André did a fantastic job on the artwork, exactly what I had envisioned. Thanks, as well, for the encouragement to date online. And, for the $100 (for the benefit of other readers, Mike gave me that c-note to cover the cost of my subscription to the online dating service where I met Deb). Thanks, Mike! Timing is everything. I think it's time to try this. So glad it's with your help. Hi, Karen! Glad to hear you're ready to invest in online dating. As you know, it's how Deb and I met. The timing is good, as well. Discovering Love Online: Love May Be Closer Than You Think will go live next week for Amazon Kindle (as well as any digital device where the Kindle app is available). The paperback version will follow as soon as I can get it formatted, proofed and online. I think that this is very important info for me. And, I am happy reading your article but want to make an observation on a few general issues. The website taste is great, the articles are truly excellent. Thanks for the great compliments, Eve. I'm glad the content is helpful to you, as well.